The East Midlands Food Heros campaign exists to promote, publicise and highlight the wonderful food and drink produced in the East Midlands. 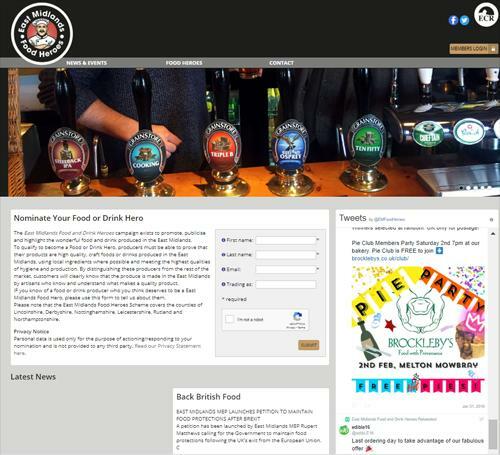 The website provides the functionality that enables regional food and drink producers to add their company and products to website along with news, promotions and special offers. The administrations have the ability to check out submissions, check the comply and make the posts live. The aim of the site is also to promote the region as the perfect place for food and drink companies looking to establish food and drink companies in the UK.